The service for leasing your hashrate and renting some Mining Rig Rentals has added support for the Neoscrypt algorithm that has been getting a lot of attention lately thanks to the hard fork of FTC from Scrypt to NeoScrypt. There are currently almost 50 rigs listed at the service selling NeoScrypt hashrate, almost half of which as already rented, meaning that the user interest is quite big even though there are not that much crypto currencies using the particular algorithm aside from Feathercoin. 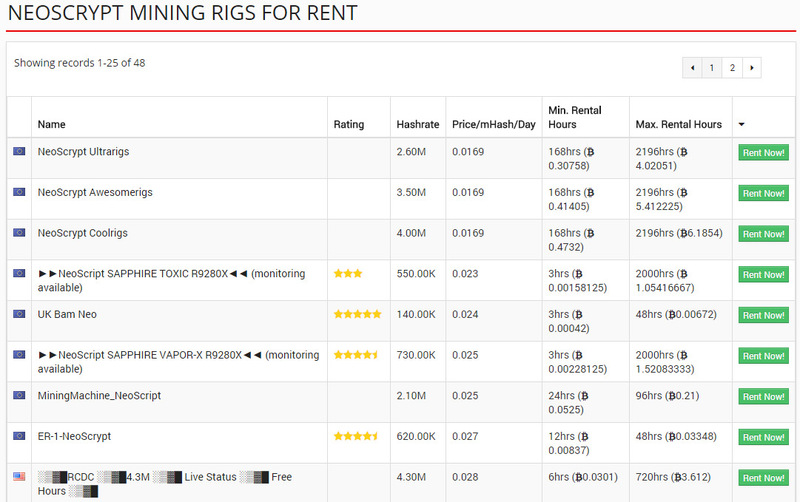 The service Mining Rig Rentals has been the most active one in implementing support for new alternative cryto currency algorithms and thus it supports a few algorithms that no other similar service has available for users to either sell or purchase hashrate. 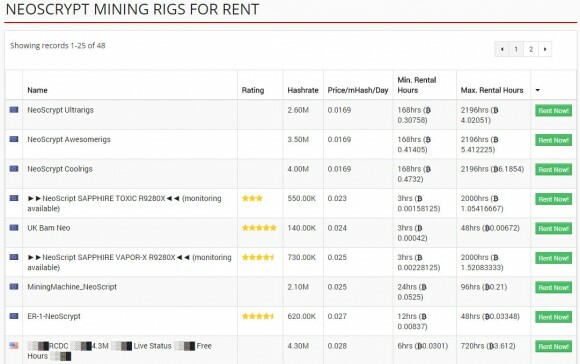 So if you haven’t yet seen what MRR offers, then you might want to give them a try, regardless if you want to lease you mining rigs’ hashrate or rent the rig of someone else providing hashrate for a specific algorithm.